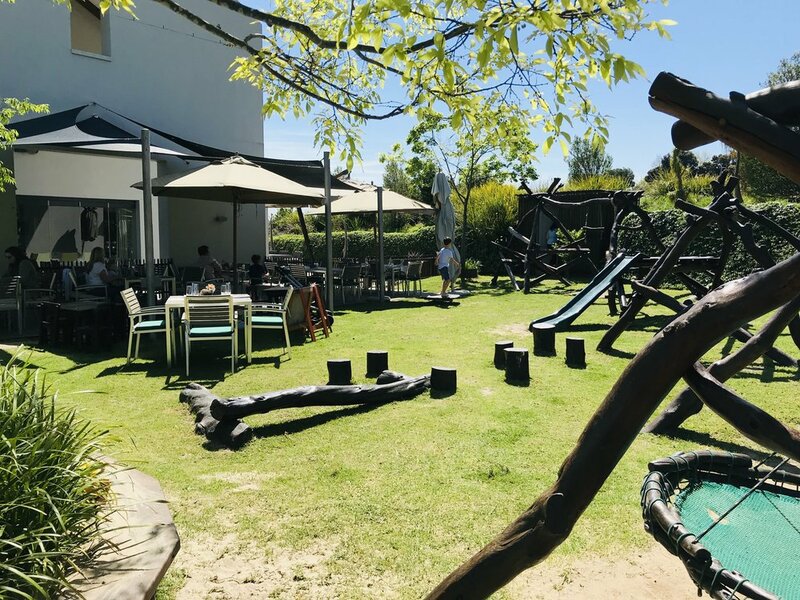 If you speak to most Stellenbosch moms, looking for one of the best kid friendly wine estates for kids, they will almost certainly point you in the direction of Mont Marie. Now it is not a typical ‘wine estate’ but it falls under the category because you can do wine tasting here. Mont Marie is a beautiful restaurant nestled in the Blaauwklippen Valley and is the perfect spot to hang out with your favorite tiny people. But what makes this spot so perfect? Well, an ACE play area that is enclosed so there is no chance of the kids escaping. Secondly, great kids food. And thirdly, the view. The restaurant, under the watchful and experienced eye of Chef Pieter Vlok, produce everything themselves. And sometimes, when they can’t, only the best produce is sourced. Thoughtful care is taken over preparing their own stocks, sauces, ice creams, and even ageing their meat. Talk about commitment! They bake fresh foccacia, farmstyle and sourdough breads daily with the most delicious spreads to accompany them. Trust me, if anything, go for the bread! Closed on Mondays and Tuesdays unfortunately but well worth it every other day of the week. Just be sure to book in advance because chances are high that when the weather is good, it will be fully booked. So, if you’re ever in need of a great place to hang out at, with the kids, or without them, do try Mont Marie.